It’s a shame that Hitoshi Sakimoto, one of the most prolific and creative composers in the videogame industry, is so unattended to by other musicians who might further explore his material. So it was a small miracle when this album was announced, especially six years after the respective game’s release. Although the Piano Collections have been a constant since 1992, there was, for whatever reason, no timely follow-up for Final Fantasy XII. 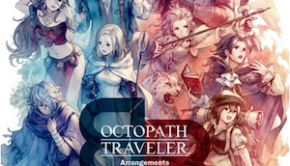 Perhaps Square-Enix had a method of gauging demand for the product and that demand wasn’t being met; perhaps Square Enix thought a piano album would conflict with the company’s desire to deny the game’s existence; perhaps there was no one around then who could fulfill piano duty; perhaps simply no one was interested in that duty. An absence of S-E employees in the pamphlet’s credits suggest that this product came to a head with no thanks to said company, that it was something to be argued for and then done only on the sidelines. Whatever was the case, here’s the result — finally — executed by pianist Casey Ormond, most likely selected by Sakimoto for his having done a piano album of Valkyria Chronicles’ soundtracks (also by Sakimoto). 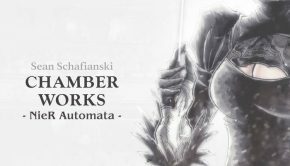 It must have helped, too, that Ormond had a couple of impressive, unofficial piano arrangements of FFXII tracks on his YouTube page, both of which have made their way onto this album. Those familiar with past Piano Collections who hear XII’s may be more privy to how flirtatious Ormond’s arrangements are with respect to dissonance. 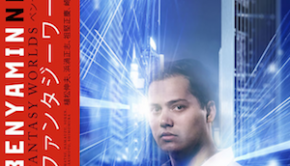 It’s especially invigorating coming off of the Collections for XIII, which was, despite composer Masashi Hamauzu’s typically atypical musical insight, a little too translucent and parched – a fault of both moderate arrangements and originals curbed by saccharine mush and an overestimating sort of minimalism. Sakimoto’s own traits are what further perpetuate the invigoration, and are vibrantly contrasted against those of Nobuo Uematsu, who is, for better or for worse, the James Horner of videogame music and the Final Fantasy series’ musical guardian. 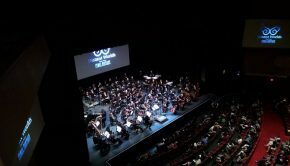 Uematsu has cultivated an audience whose associations with, and expectations for, the games’ soundtracks center around melodies whose clarity of form allows the average listener to remember and hum them. Similar to a number of other Japanese videogame composers, Uematsu’s standard framework is a distinct solo voice (with song-like intervals) atop a bed of well-fed, comprehensible chords. His pieces can be reduced to that solo voice and the bare minimum of support and remain distinct. In fact, this is what a number of his tracks for 8-bit titles entries already are. Sakimoto’s approach favors a harmonic whole: if one may be regionally general, his alliances side more with (what became) the traditional Western standard of putting harmony at the forefront. And this is, above all else, what impedes an ease of memorization and/or humability – as said, usual expectations of Final Fantasy music. It must be said that an elaborative, rather than transcriptive, album could be no more fitting for Sakimoto, whose best-known music is so often elaborative itself. Final Fantasy XII was a step away from the motivic emphasis that characterized, for example, Vagrant Story and Final Fantasy Tactics, preferring to make most of its material standalone and redistributing a couple of themes here and there in fragmentary ways; but my point pays respect to Sakimoto’s popular legacy, rather than just to FFXII. A more meaningful aspect connecting source and arrangement is the contrast between the lush weight of FFXII’s ensembles and the neutral voice of the Collections’ piano. In the early 90s, with the introduction of more emulative sound hardware, it became clear that Sakimoto’s main filter for his musical language would be the synthetic orchestra; and, in 2006, FFXII was the apex of that filter’s sonic force. The meaning here, then, is contrast – the chance to see unprecedented aural heft pared down to the mouth of a single instrument. And, much more often than not, it works. Ormond should be applauded for choosing to ring things in with “Opening Movie.” At first glance, this may seem to have been an easy choice, as it’s the first piece we hear in-game that’s not an adaptation of an Uematsu composition (“Prelude”, an arpeggiated machine that’s become a series-icon, and the most well-known bit of the slightly-less-boring anthem “Prologue”), and also the genesis of several leitmotifs. Yet it’s a piece of considerable scope that’s only heard once in-game, without a loop. Ormond demands notice by putting it at the forefront, and while his arrangement is quite mirrored, I can’t find much fault, seeing as how the original’s development is already so dynamic and explorative. The real reworking comes at the halfway point whereat, normally, there is a switch to fierce atonal bombast unusual for Sakimoto. Ormond cuts all of this out and replaces it with a gorgeous unfolding and reappraisal of “The Dream to be a Sky Pirate” dappled with fragments from “The Dalmasca Estersand.” Yes, it would have been exciting to see Ormond translate the chaos to piano, but his alteration works as a cool counterpoint to the preceding material. “Opening Movie” would just be too heavy of a greeting otherwise. The proceeding pieces are fairly close to my (hopeful) tracklist predictions when news of the Collections was first released. What a relief it was to see “Music Composed & Produced by Hitoshi Sakimoto” on the album’s cover, and to know that “Kiss Me Good-Bye”, a violator of Final Fantasy XII’s world-atmosphere, was out of the mix. My only lasting concerns are with “To Walk Amongst the Gods” and “Penelo’s Theme.” I left the original “To Walk Amongst the Gods”, whose heart is a flip-flop modulation, feeling a surprised disinterest with such roteness coming from Sakimoto. Ormond’s performance is about as fine of an arrangement as we’re bound to get, capitalizing on the original’s destabilization and prioritizing twilit unease over mystical portent – but the conceptual core remains, and the outcome is too overtly diagonal for my taste. In-game, Sakimoto’s “Penelo’s Theme” is an amusing attempt at melding pluckiness with the suggestion of a serious underside (a suggestion unrealized in the character), but Ormond’s take just feels exasperating, as if it really is nothing more than unending modulations on a couple of lines with some cutesy accidentals and ballad-like affectations thrown in. Its inclusion is puzzling. Perhaps Ormond felt obligated to include more than one character theme, and this was next (or first?) in line. Otherwise, the remainder has my support. “Streets of Rabanastre”, a kind of amalgamated hornpipe tune, translates beautifully, a preexisting solidity to its build helping it to slip right into the pianistic arena. With the retention of its sharp, swung melodic work and dreamy backdrops, and the new faint touches of dissonance – representing societal unease behind a bright façade – it’s a pleasure to hear every time. Ormond reignites the adventurous spirit felt when one first exits the game’s home city in his rendition of “The Dalmasca Estersand”, and also succeeds in his intent (announced in the liner notes) to reflect the day/night contrast of a desert, a change from the exclusively bright-skied action of Sakimoto’s original. Ormond remolds it to have an inner warmth, outlined by a faint, fresh blueness, a balance of strong directional statements and new pellucid tributaries. “Ashe’s Theme” highlights Sakimoto’s skill in drifting into vague territory – for a character’s theme, no less – and anchoring it, making it definitive, by inventive chordal choices. The original’s combative, and less engaging, latter half has been cut to make room for further thematic spelunking. And the performance of “Nalbina Fortress” emboldens the interplay between light humor and charming, make-do comfort. It struts about with bursts of pomp and moments of warm-shaded reprieve. There is a slight abundance of minimal pedal pressure that, in context, can approach an unflattering dryness. “The Archadian Empire” at the 3:45 mark, for example, has a brief repeat of the piece’s melodic centerpiece, but the new punctuality and sparseness of sound combined with the didactic passage gives an effect that is practically goofy. Thankfully, it’s over soon (the same track’s exclamatory ending, saying, as it were, “And that’s that!”, with a delivery that conveys an authoritarian myopia, is a successful example of obliviously self-inflicted humor). At the very least, such hang-ups are helpful; they point to or hover over alternate routes, should more of Sakimoto’s work be adapted in the future. “Lowtown” is an interesting exception: its body is full of light pedal activity, yet it is enthused by Ormond’s imaginative and extensive reworkings. It was a pleasant shock to find this as a highlight on the album, as the original felt like Sakimoto treading into “exotic” territory and verging on the cliché with few accompanying pleasures to justify or override those clichés. Ormond preserves some of that generalized Middle-Eastern tonality and reconfigures it to become a strange jazz creature of robust angularity and woody flavor; the ideas are fleshed out to the extent that the source material winds up appearing as incidental, transitional fluff. It’s in the more languid and pedal-driven arrangements that the performances emit a stronger confidence, a floral density and resonance that lure out the fecund harmonic tensions inherent to a mass of Sakimoto’s resumé. They make the best case for this Piano Collections being notable for reasons besides its being the first big-name project/product indebted to Sakimoto. Tracks such as “Skycity of Bhujerba” (clear, open-armed, promising), “A Moment’s Rest” (processional, ceremonial, the fineness of grass and the rumblings of the earth), or “Near the Water” (oddly, pleasantly, now Hamauzu-esque, although I could do without the extended build three minutes in) are all touching gems, swathed in subtle colors; they suggest that Ormond’s mind, fingers, and feet are much more at home, whether that’s in relation to the specific material, a preference for musical mood, or both. Of particular personal note among these is “Eruyt Village.” Sakimoto’s original hums with a thin-aired glow as plucks of a harp shimmer, flutes intermingle in a spiraling dialogue, and strings elevate the plane, although for all its beauty I’ve always felt like it had a lightness that in some way dehydrated its emotive potential. Here, a migration to the piano and Ormond’s touch introduces an underlining heft and points of overlap, adding a rounded dimension and a more substantive self-reflectivity to the chords. My only critique is that there are hints of clipping throughout the track’s recording. It’s clear to me, after having allowed myself time to digest it, that this album came from a place of respect – and creative craft to match that respect. Moving Sakimoto’s music, as full as it is of alternate points of subjective interest that might be foreground in one listening and background in the next, to the piano could never be a process of just etching down a song-melody and fluffing up the accompaniment. Ormond formed a deep enough relationship with the source material that pianistic sculpture forged from a billowing orchestral landscape was possible. Here is an exciting, shareable event that speaks on new terms and reilluminates that which inspired it. 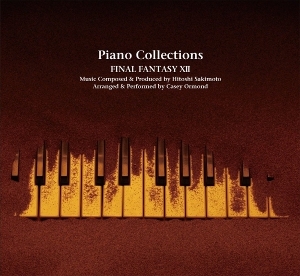 One hopes, as a listener of Sakimoto, that Piano Collections Final Fantasy XII will spark interest, perhaps not there before, among other performers and arrangers. Right now, though, it seems enough to admire the gift that’s been given. Posted on March 23, 2014 by Ario Barzan. Last modified on May 12, 2014.